A truly amazing stand-up and be noticed salad that will catch everyone’s eye. 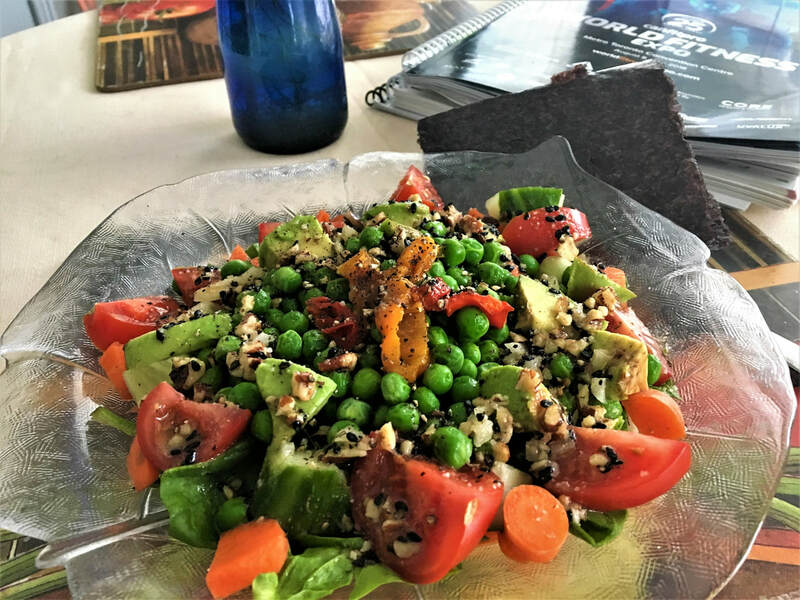 This was one of those – oh I wish I made more salad creations! It will be on my menu again tomorrow. Now, while it may seem like lots of ingredients, you can easily sub in veggies you have on hand or any that simply beg to be brought home from the market. The focus is on using fresh, seasonal produce paired with this ‘oh-so-delish’ vinaigrette. The quality of the ingredients and a sensational dressing are the key to great salad creations in my view. 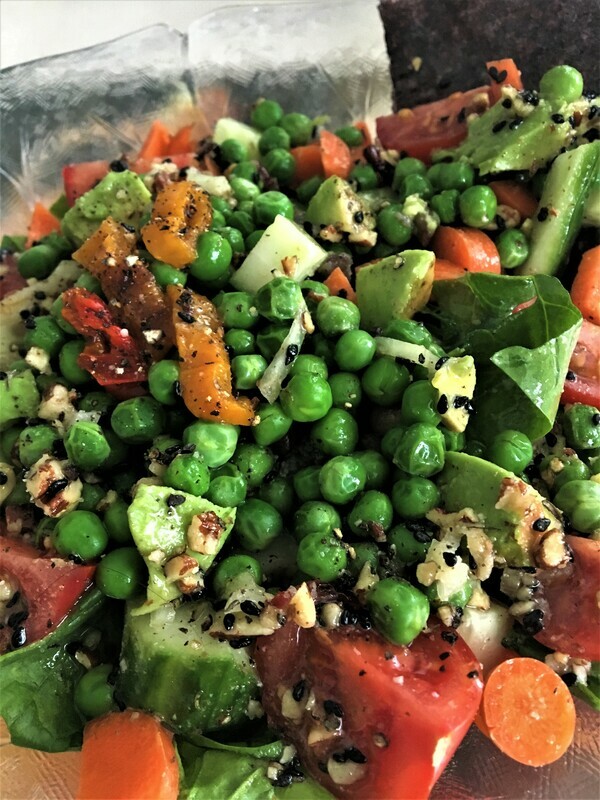 Other seasonal Spring/early summer stars you may want to include in this salad are such veggies as asparagus, beets, cabbage, green beans, dandelion greens and baby zucchini. Blueberries just may be a fun toss in as well. Whatever you choose you’ll have enough vinaigrette left for another salad or two so go ahead and get creative with your combos. Toss all the ingredients except the lentils, peas, tomatoes, seasonings and Nori, in a large bowl and divide between four plates. Create a slight well in the center of each salad plate and spoon in lentils, then top with the peas. Arrange the tomatoes around the perimeter of each salad tuck a few Nori triangles on the side, season with sea salt, and pepper then drizzle each with dressing to taste.